We are seeing an ever-increasing burden of chronic disease, primarily driven by our food and food system. This is perpetuated by agricultural, food and health care policies that don’t support health. We need to rethink disease and reimagine a food system and a health care system the protects health, unburdens the economy from the weight of obesity and chronic disease, protects the environment, helps reverse climate change and creates a nation of healthy children and citizens. This podcast is a place for deep conversations about the critical issues of our time in the space of health, wellness, food and politics. New episodes are released every Wednesday morning. I hope you'll join me. When it comes to medicine, many of us want immediate results. 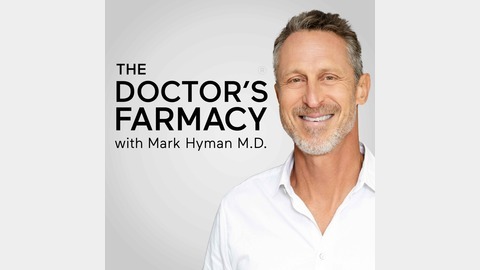 What if just one dose of medicine could dramatically shift your perception, decreasing anxiety, depression, fear of death, addictive tendencies, and so much more? It might sound too good to be true, but the therapeutic use of psychedelics is showing us it’s possible. Now, I’m not talking about taking magic mushrooms at a Grateful Dead concert. The medicine used in psychedelic trials is created in a lab, carefully dosed for the patient, and administered in a specific setting with a trained guide who is present throughout the entire process. This highly controlled process can yield some pretty amazing results and we will be seeing much more science emerge on the safe use of psychedelics for a variety of disorders. 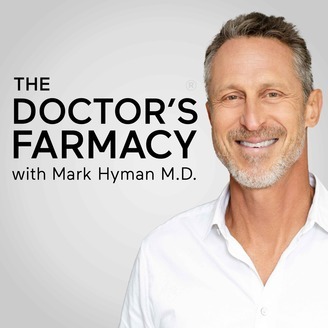 This week on The Doctor’s Farmacy, Dr. Anthony Bossis joins me to elaborate on using psychedelics to expand our sensory abilities and relax our experience with death and illness. Anthony P. Bossis, Ph.D. conducts FDA-approved clinical trials in the reemerging field of psychedelic research. He is a clinical psychologist and clinical assistant professor of psychiatry at NYU School of Medicine investigating the effects of psilocybin, a naturally occurring compound found in specific species of mushrooms.